Baha user Nancy: With the Baha System I can even enjoy the wind! 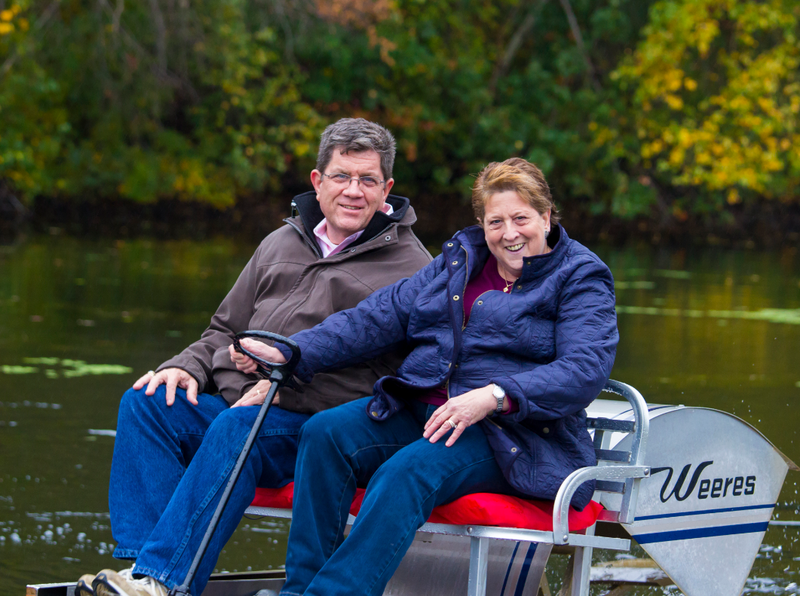 Nancy Von Eilbergh has had hearing loss in both ears all her life. She struggled for 50 years until she finally got the help she needed. Here she tells us about her journey. “My name is Nancy. I am a wife, mother and nurse. When I was seven years old, it was discovered I had cholesteatomas in both ears. They were benign, slow but aggressively attacking tumours, destroying the bones in my inner ear that allow us to hear. My hearing loss treatment started with hearing aids, which seemed to amplify everything behind me more than in front of me. Socially it was difficult because I would constantly misunderstand people. In school, the teachers would forget about my hearing loss and have their backs to me, talking to the chalk board so I was not able to lip read. I continued to wear hearing aids throughout high school. Then one day my dog ate my hearing aids (yes, really! ), and I decided to go without them for a while. I went on to nursing school and was able to get through it with a specialised stethoscope and start my nursing profession. I managed alright until my early 30’s. Then I went back to hearing aids until about two or three years ago. They were not working adequately; the mould would not sit properly in my left ear canal, and the right aid was not amplified enough. Originally I was told I was not a candidate for bone conduction hearing implants. This devastated me. I was at the point of considering retiring from my job as Nurse Manager because my hearing didn’t work effectively. Then I saw an ENT physician who said I may be an ideal candidate for the Baha System after all. I got an evaluation, and a Cochlear representative came out for my test. I threatened to run away with the test rod – I was so amazed and excited by what I could hear! I told my physician to sign me up yesterday. I spoke in length with the representative, my physician and my husband. I wasn’t concerned about pain. I was a little anxious about anaesthesia but felt very comfortable with all the answers I received. I trusted the doctor and the product. Overall, it was an easy decision because I figured at this point my hearing levels couldn’t go anywhere but up. I looked at one or two other bone conduction products, mostly from a repair standpoint. My hearing aids were always getting repaired. I had a tight relationship with my hearing aid manufacturer because they were local, and I could bring my aids in for repair the same day. I was concerned about shipping out my sound processor if repairs were needed. I researched Cochlear’s history, how long Cochlear has been involved in hearing solutions, and hands down it was the best choice for me. In February, I was implanted on my left side, and in April on my right side. When I received my Baha sound processors, it was almost surreal. The Cochlear representative asked what music I wanted to hear first, and I told her I wanted Cat Stevens. When she played it, my face broke into a grin; I was off in my own world. It was like my favourite music was being played by the philharmonic, and it was just me and the music. I would have been happy if everyone just left for a moment. Then we started programming the sound processor and the wireless accessories. My son took the Mini Microphone and walked down the hall, and I could hear him say “Hi mom” with the physician in the room talking. It is still such a great memory. Now I also use the Phone Clip which works very well for me. It delivers people’s voices directly to my sound processor, bypassing surrounding noise and allows me to hear phone conversations clearly. It’s a godsend, especially when I am on-call for work. Getting the Baha System has been nothing short of a miracle! I have never heard this well before. I have a new lease on life. My brain had to adjust a bit – what not to listen to, what to listen to – but it’s been fairly easy for me. My family has definitely noticed an improvement in my hearing. My husband even jokingly tells me he wants me to take it off because I can hear when he mumbles. My family can talk to me without yelling. I don’t have to ask my son to repeat himself; I pick up 99% of what he says. At work, I can definitely tell the difference. I can be in next room and carry on conversations instead of being in the same room and missing it all – it’s phenomenal! Even today, I stopped and noticed the sound of my shoes on the carpet. I have been able to successfully continue my job as a Nurse Manager. People can’t believe I use hearing devices. They’re less obvious than my hearing aids because my hair hides them, and I hear better now so people don’t need to repeat themselves. That’s amazing to me! I love kayaking, although I typically don’t wear my sound processors while I do it. I do use them up to the point of going in the boat because I love to hear it gliding into the water. I love to be outside and walk, hearing the sound of the rustling of trees. Those are things I missed tremendously. The sound of rain on the car is just something you take for granted. And when it comes back, it’s amazing. With my old hearing aids, the sound of the wind felt like I was on the wing of a Boeing 747. With my Baha sound processors, I can actually enjoy the wind. I’m social, I love talking with people. I have a good sense of humor, and now I don’t have the miscommunication that I experienced prior to the surgery. For people who ask what it is, I tell them my Baha System is an incredibly cool piece of technology. I explain how it works and show them what it looks like. I have also chatted with a few people on Facebook, mostly with parents of young kids. To me, that’s the most fabulous thing in the whole world, to consider how to improve your child’s hearing. I think to myself how much easier life is when you can hear, and it blows me away. Outcomes may vary. Results from case studies are not predictive of results in other cases. Question: Can you tell me where in South Africa can you buy the FM Receivers and Remote Control for the Baha 4 Connect System? Answer: Hi! The wireless Mini Mic, Remote Control, TV Streamer and Phone Clip can be bought directly from Southern ENT or from your audiologist who will place the order for you. If you need an FM system, you’ll need your audiologist to assist you. Southern ENT contact details are: +27 (0)12-6674832 or info@southernear.com to place your order. Australian newspaper Blacktown Sun has a story about Baha user Kelly Jenkins, who recently upgraded to the Baha 4 Sound Processor and wireless accessories. Kelly lost her hearing in her left ear in her 20s and was implanted with a Baha solution in 2007. 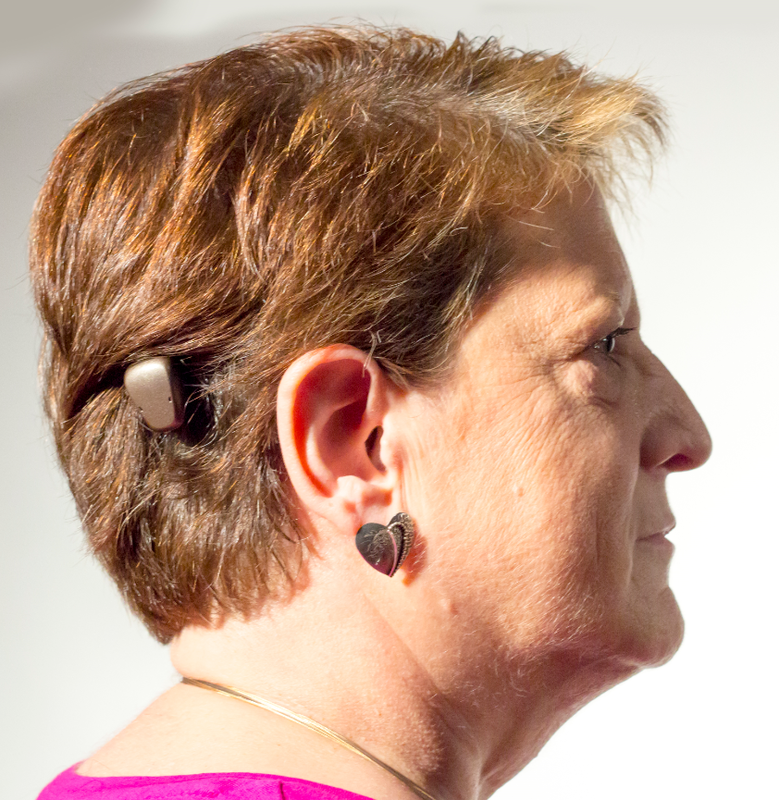 Six weeks ago she upgraded to the Baha 4 bone conduction hearing device, which she loves because it provides even better clarity of sound and allows her to access associated wireless technology with a mini microphone no larger than a credit card. The small, portable wireless microphone transmits speech and sound to the Baha sound processor. Kelly is especially thrilled to be able to go out to restaurants again without being disturbed by the noise. Ensure the Phone Clip is fully charged and turn it on, remove the silver cap and press the white pairing button using the tip of a pen or similar object. The Phone Clip will now be in pairing mode for 20 seconds. Successful pairing will be indicated by an audible melody in the sound processor. You can also check out all manuals and instructional how-to videos on our international website. 1) Will the abutment that I currently have with the Divino work with the Baha 4? 2) Do I need to have another surgery to have the correct abutment put in or is this done in office? 3) Will I get the same quality of hearing if not better with the abutment I currently have? 4) I’ve seen that I get one free wireless accessory and want to get the Phone Clip, but what other accessories do you think I should get? I am glad I found this blog – it has been informational. Thank you for your time! Answer: Hi Jeff! Thank you for your questions. I am glad that you have received such benefit from your sound processor. Yes, the technology has changed, and certainly studies have shown you should receive a large benefit from the Baha 4 Sound Processor! Enabling people to upgrade their sound processor as technology improves is very important for us at Cochlear. All Baha sound processors use the same ‘snap coupling’ so there is no need to change the abutment. The snap coupling is a very efficient mechanism of sound transfer from the sound processor to the implant. You won’t gain any hearing performance by changing the abutment. In the past few years we have increased the amount by which the sound processor is configured individually. You will benefit from the improved hearing performance of the latest technology, which is specifically fitted by the hearing care professional for your hearing loss. With the Baha 4 Sound Processor you will have access to four wireless accessories. 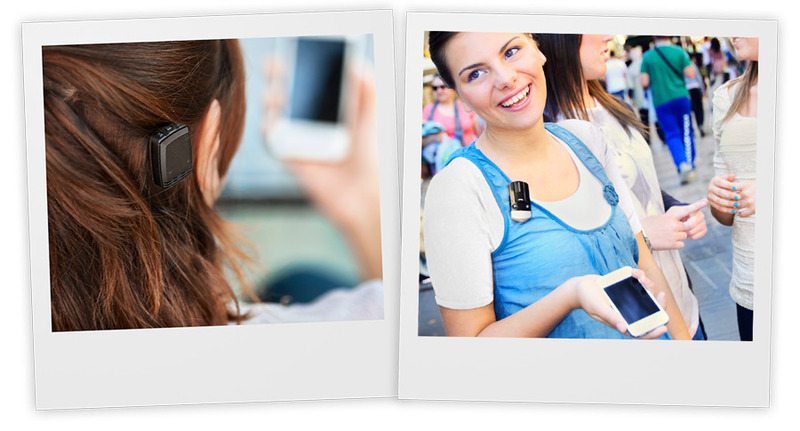 The Phone Clip is a popular choice as it can easily work like a Bluetooth headset for your telephone. It also allows you to change the program and volume so it doubles up as a remote control. Many people, especially parents, see great advantages with the Mini Microphone as it improves speech understanding in noise, for example a restaurant or classroom. Can I connect my Baha 4 Sound Processor to a cordless dect phone? Fantastic that you are benefiting from your Baha 4 Sound Processor and your iPhone! Yes, if you wish to connect your phone clip to your “dect phone” (cordless home phone), you will need to make sure that it is bluetooth compatible. Luckily, there are many models from different manufacturers (such as Motorola, Uniden, Vtech and Panasonic, to name a few). It is difficult for us to recommend a particular brand and model as these vary greatly by country and region. I would suggest that you look at what phones can connect easily with an external “bluetooth headset” and they will then connect with the phone clip. The phone clip is essentially a bluetooth headset between your phone and the Baha sound processor. You could also take your phone clip into a store such as “Best Buy” or “Dixons” and test which phones are easiest to detect and connect. Many Baha 3 users ask what the difference is between the two sound processors, and what they can expect when going from their existing system to the new Baha 4 Sound Processor. The first thing you should notice is an immediate improvement of the sound quality. The improved signal processing makes listening in challenging situations, such as restaurants or busy streets, more comfortable. At the heart of the Baha 4 Sound Processor is a scene classification program which is able to detect what type of situation you are in and match your listening needs to different acoustic environments. For example, if someone is speaking in a noisy environment, it will focus on extracting the speech from the background noise. Alternatively, if the situation is one with mostly noise and very little speech, the system will then focus on keeping the background noise as comfortable and unobtrusive as possible. 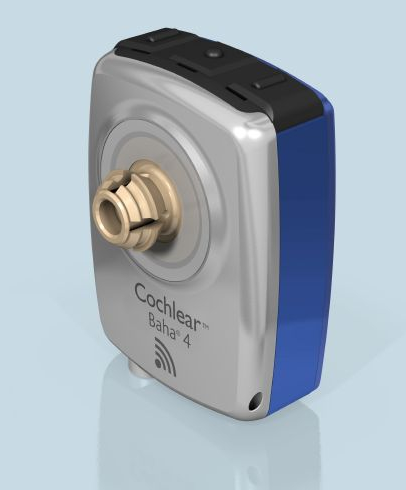 The Baha 4 Sound Processor is compatible with the 2.4GHz wireless technology. This means that you are able to connect to other audio sources via the Mini Microphone or TV streamer, or with your mobile phone via the Phone Clip, and have the audio streamed directly to your sound processor. Additionally, a remote control is now available so you can adjust the volume and program settings. In most cases, the result of these technological improvements has been significantly improved hearing performance in even the most challenging listening situations. We were very happy to see that in testing, 90% of people preferred the Baha 4 Sound Processor over the Baha 3 Sound Processor. In most cases users noticed an improvement in their hearing experience immediately.